You can easily make your own party favors simply using your own own printer followed by a little cutting and pasting. It’s a lot of fun to hand out party favors at special events, whether it’s a child’s birthday party, baby shower, bridal shower, engagement party, or even a wedding. They will also help decorate your dinner table at special times of celebration, such as thanksgiving or Christmas. You’ll be amazed at the ingenious creations you can produce with just a little effort. 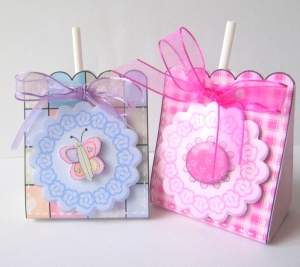 Get your (older) kids to help in making birthday party favors, or enlist the help of your bridesmaids, mother, sisters, aunts, grandmother, in-laws, and other friends to create favors for your wedding. Printing your own favors is a much cheaper than most other options, and you can even personalize them and get them perfectly matching your chosen theme.